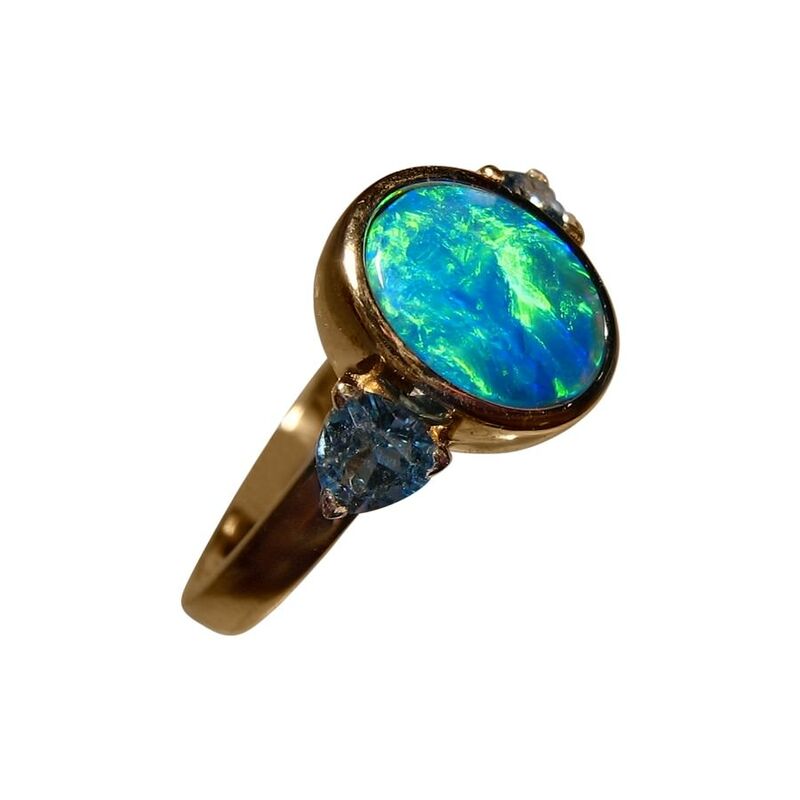 An Opal ring in 14k Gold with an oval Green and Blue Opal accented with two trillion cut Blue Topaz. In stock and ready to ship. 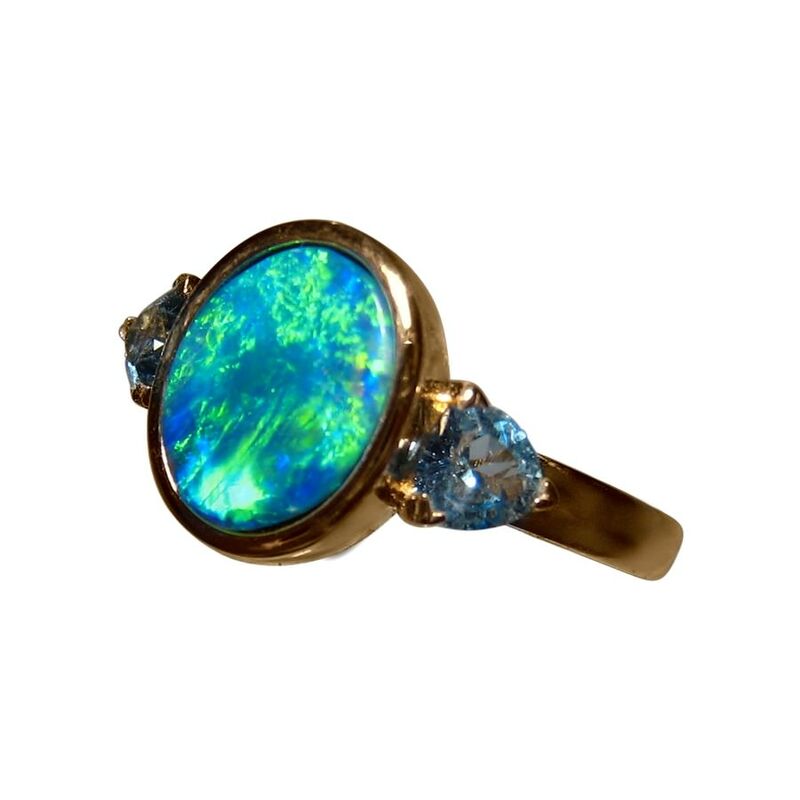 This Opal ring has a beautiful mix of gemstones that compliment each other. 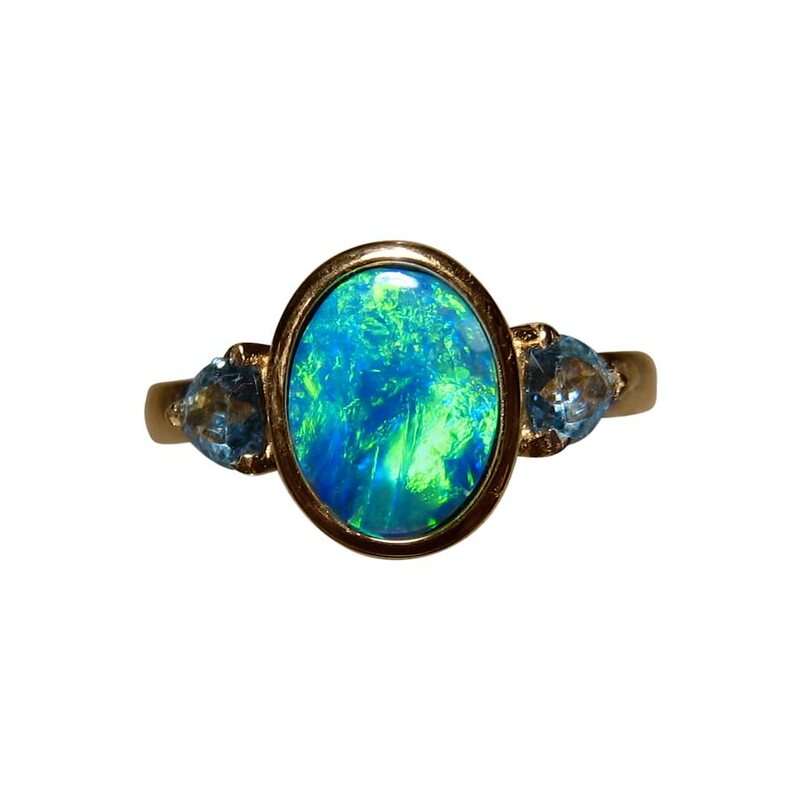 The feature of the ring is the Lightning Ridge Opal showing very bright Blue and Green with two trillion cut Blue Topaz on either side. 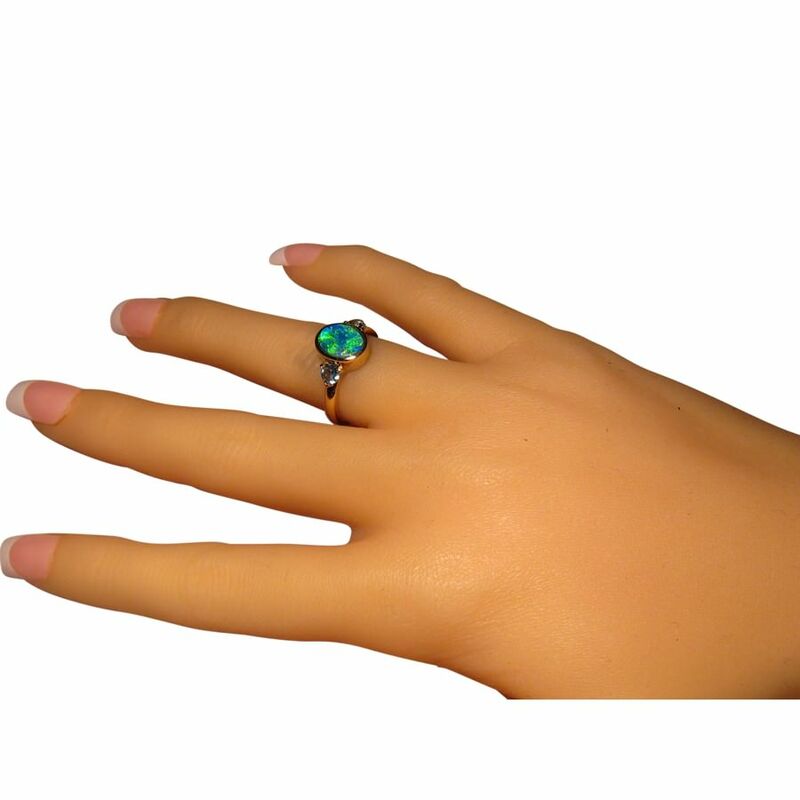 The ring itself weighs just over 4 grams of so a substantial Opal ring and withe the quality gemstones would make a very special gift for an October birthday. It is ready to ship in 14k Yellow Gold in USA size 7 ¼ or will take about 14 days to make in any other ring size or change of Gold color.